Remember in my last post I mentioned that the Graeagle definition of “A Cabin” included proximity to at least one golf course. Today I am here to tell you that My Front Porch in downtown Graeagle is within 10 miles as the Birdie flies of seven…count ’em SEVEN of the most scenic rounds of golf you will ever play. Kind of takes your breath away. Whether you are a pro or a novice, you’ll find your game here in Graeagle. And even if you never take club in hand, you’ll still be able to take in these breathtaking vistas from a comfy outdoor deck chair, martini in hand. It’s been a fabulous Spring opening. The greens are super green. The temperatures are t-shirt perfect daytime, cuddle up nippy after dark. 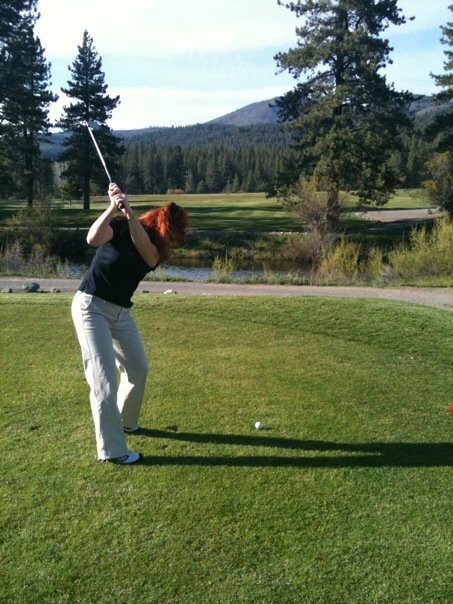 The Best Mountain Golf Resort Homes in Plumas County.